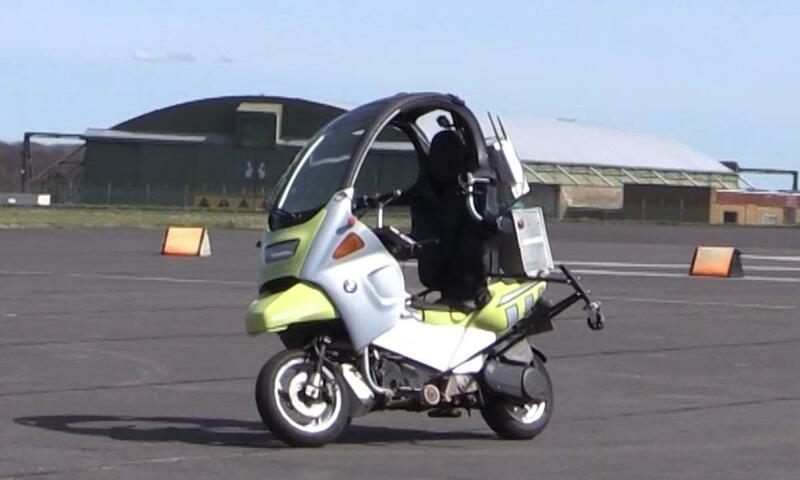 Wiltshire-based firm A B Dynamics has developed a BMW C1 capable of driving itself to help make self-driving cars safer for riders. Motorbikes have long presented a challenge for the developers of autonomous vehicles who have to prove their technology in a growing number of real-world scenarios, including interactions with motorbikes. The problem is that you can’t just send a biker out to ride around with a test vehicle and see if it knocks them off. Initially, the developers used “controlled soft targets” to mimic the movement of motorbikes, but their low speed and poor manoeuverability meant that they were no substitute for the real thing. 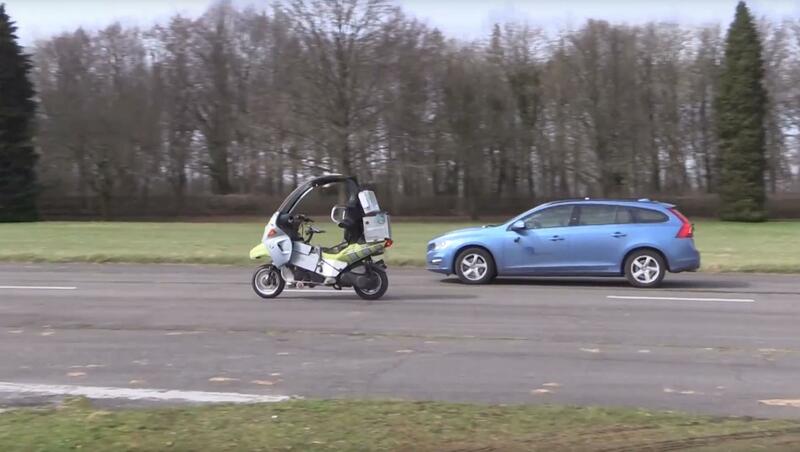 Dr Richard Simpson, senior systems engineer at AB Dynamics, explained: “A riderless motorcycle allows more comprehensive testing of autonomous or advanced driver assistance system (ADAS)-equipped vehicles, without risking injury to a real rider. The BMW C1 was chosen as it has no manual clutch and sensors can be placed in the roof, but future tests will use more powerful, modern machinery, he added. 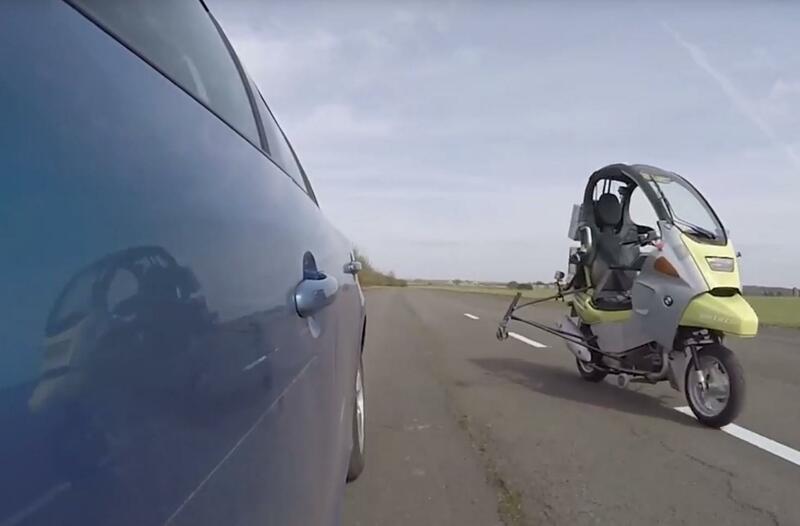 Autonomous vehicle developers will use the technology to test situations such as overtaking and filtering, but Dr Simpson believes there will be other uses.